Sometimes you have to “Just Keep Swimming.” This phrase coined by Dory in Disney•Pixar’s Finding Nemo is one that not only helped a little blue tang fish find her way in life but also inspires us land lovers. Performers have a lot of pressure on them and in this very competitive industry, you don’t only have to just keep swimming but also just keep singing. 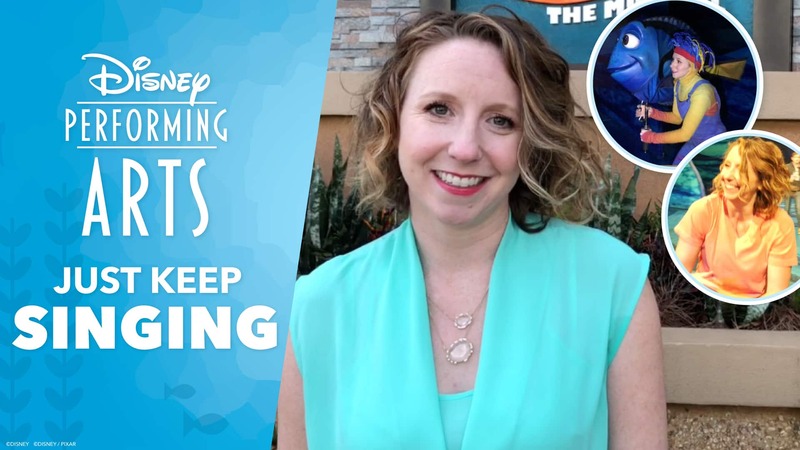 This is the inspiration behind our first vlog series entitled “Just Keep Singing,” a guide for you and your students on what it takes to become a performer here at Walt Disney World Resort. This series stars Katie Whetsell who portrays Dory in Disney•Pixar’s Finding Nemo - The Musical at Disney’s Animal Kingdom. Katie has been a performer with The Walt Disney Company for over nine years, originating the role of Mother Gothel in “Tangled: The Musical” aboard Disney Cruise Line along with numerous other notable roles. Stay tuned, next week we will bring you another episode of “Just Keep Singing” where Katie takes you through the swimmingly fun rehearsal process of Finding Nemo - The Musical!